In a recent high-profile murder case in Taiwan, Liao Kuo-hau, a 17-year-old allegedly responsible for the murder of Taichung gang leader Weng Chi-nan on May 28, was quoted as having complained that he was a victim of Taiwan’s education system. Liao alleged he was discriminated against in school because he came from a broken family. This tragic story and his statement sparked discussion across Taiwan and shed light on many illegal practices inside many Taiwanese high schools. As Christians with children in public or private schools inTaiwan, it’s imperative that we be as concerned about where our children are headed as whether they’re lagging behind the rest of the pack. Three of these illegal practices include: Discriminatory placement of students at the beginning of the school year when they are assigned their classes, restrictions on students’ hairdo that breach basic human rights, and dissemination of personal and private information, such as grades, without prior consent and for non-educational purposes. According to reports, more than 50% of schools have engaged in the first illegal practice mentioned above while more than 80% have committed the second and third illegal practices. If these numbers are any indication, many students are ostracized as early as junior high school. Yeh Ta-hua, Secretary-General of Taiwan Alliance for Advancement of Youth Rights and Welfare and deacon of Peace Island Presbyterian Church in Keelung, underscored that these trends merely exacerbate the number of high school dropouts and burden society with teenage delinquents forced to choose between gangs or unwelcoming school environments just because they are slow learners or don’t excel in academics. In response to this problem, some churches began to reach out to troubled teens and high school dropouts in recent years, including Chu-Tang Presbyterian Church in Changhua. The church, in partnership with local government agencies, founded Sunflower School in 2003 and began offering classes to students according to their own needs and learning abilities. It has graduated 56 students to date, with 34% of them entering the workforce and 66% moving on to higher education. However, Chu-Tang Church’s pastor, Rev. Chuang Hsiao-sheng, would like to see more preventative measures in place in high schools across Taiwan before teens become dropouts, including: Early detection of domestic violence, better counseling for teens mixed with the wrong crowd, more flexible school regulations, and more emphasis on morality. 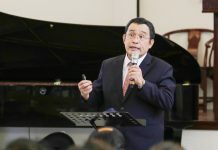 “A healthy country needs sound ethics, morality, philosophy on life, and these are all lacking in Taiwan,” he said, convinced that religious entities are called to stand in the gap. From PCT Education Ministry Committee Secretary Lian Yan-yan’s point of view, one of the root problems is Taiwanese society and education’s over- emphasis on hard sciences and on making the education system to fit the job market’s demand. “If we want to correct Taiwan’s education system, we must first re-evaluate the purpose of education,” she said. To compensate for this skewed social and education system, PCT has been working hard with schools to provide Life Education Classes. Not only does PCT write the curriculum for these classes, which start from kindergarten up to senior high school, it also writes a similar set of curriculum for its Sunday Schools and has many volunteers throughout Taiwan. 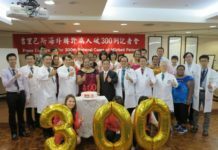 “Our vision when we began Life Education Classes was to help people live happily and healthily and teach them to respect one another’s uniqueness,” Lian said.